So over the last few weeks i have been gathering more parts to get this engine building underway. I have purchased a MED stage 2 billet flywheel and clutch assembly to be fitted up to the engine. As the parts kept being snapped up i stumbled over a set of minisport 4 pots and a set of Gaz front coil overs. As the car is running rear coil overs i thought the advertised offer was too good to miss so these new items were purchased to get the car running a full coil over conversion. The 4 pot brakes hopefully will assist in the stopping power of the car. With the uprated power of the new engine it does make sense to me to upgrade the braking system at the same time. I also received the head back from Toovey. All work on this is completed now even down to drilling and tapping the oil return inserts to 3/8BSP thread so i can fit the oil drain lines from the head to the SC manifold unit fitted in the place of the mechanic fuel pump. The work is very, very good even without asking all valves were cleaned up, the seats and valves were lapped and all of the valves numbered to cylinders to keep their correct locations. I was under the impression that i would be lapping the valves on its return. Next job is to sort out engine balancing – everything will be going back to Toovey to be weight matched, shot peened, end over balanced and then the complete bottom end dynamically balanced. Rods will be fitted with ARP bolts and nuts and the flywheel keyway and bolt will be replaced with MED versions. 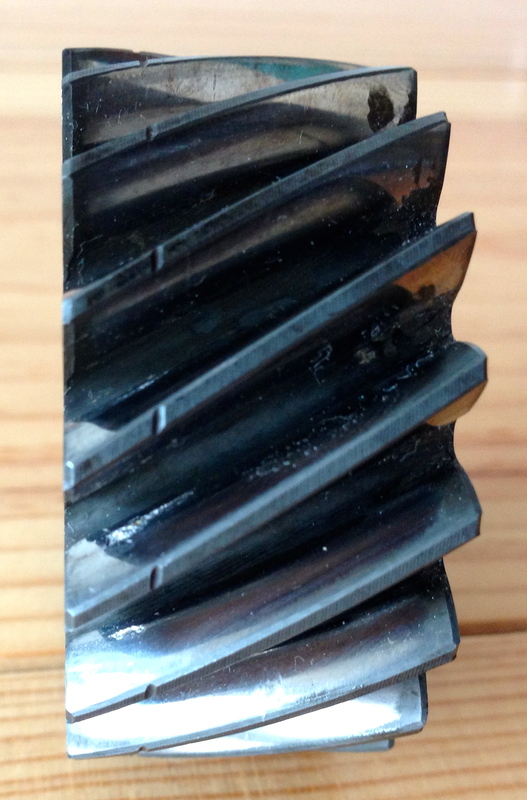 I am in urgent need of a 1275 std dampened crank pulley….. The unit that came with the engine is shot and the rubber bonding ring has perished beyond use. Does anyone have one going spare for a sensible donation of course? I have also been speaking with John at SC again regarding the last items i need to order from them to complete the build. 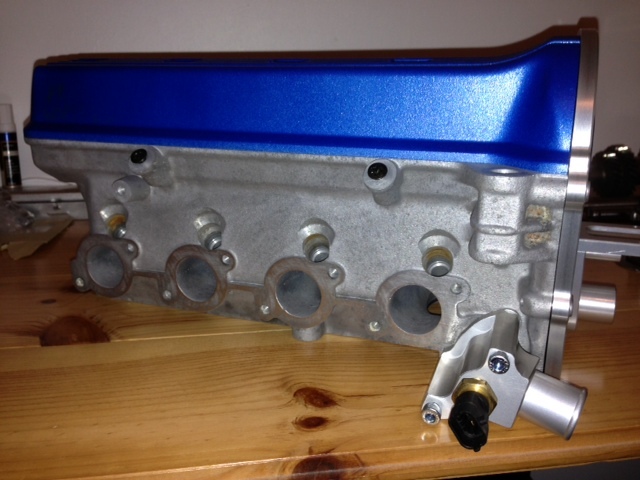 SC have not have the road stainless manifold in stock for a couple of weeks now. But John has informed me that they should be in stock early May. 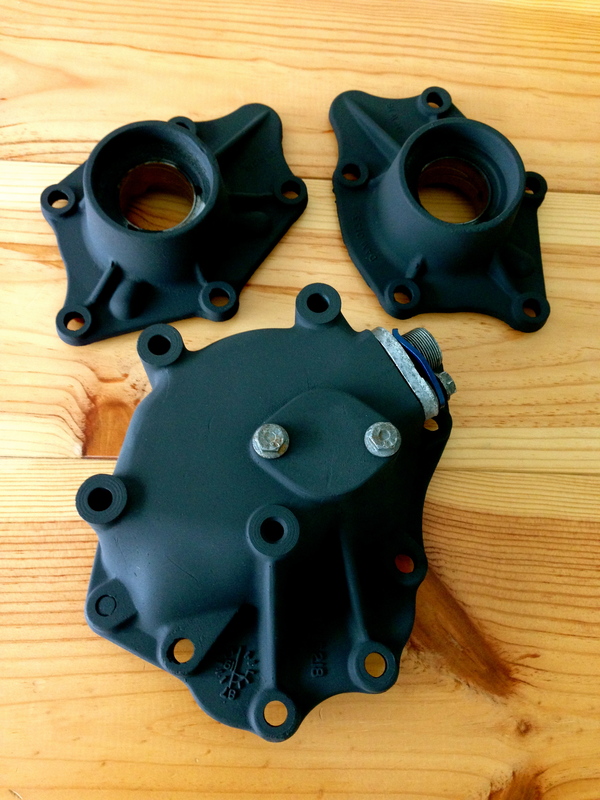 Just incase anyone is in urgent need to get hold of a manifold and cannot wait till new stock, SC do manufacture a steel version and its currently in stock…. but its the same price as the stainless unit. Pitty its not cheaper for those of use that want to wrap our manifolds but its there if anyone wants one. Finally the half decent weather is on its return. Our 2 cars will be back on the road in May but ill be waiting to get this built and fitted ASAP. Im never going to hit the May 1st running deadline now so being more realistic ill move it a 6 weeks to June 15th ish. 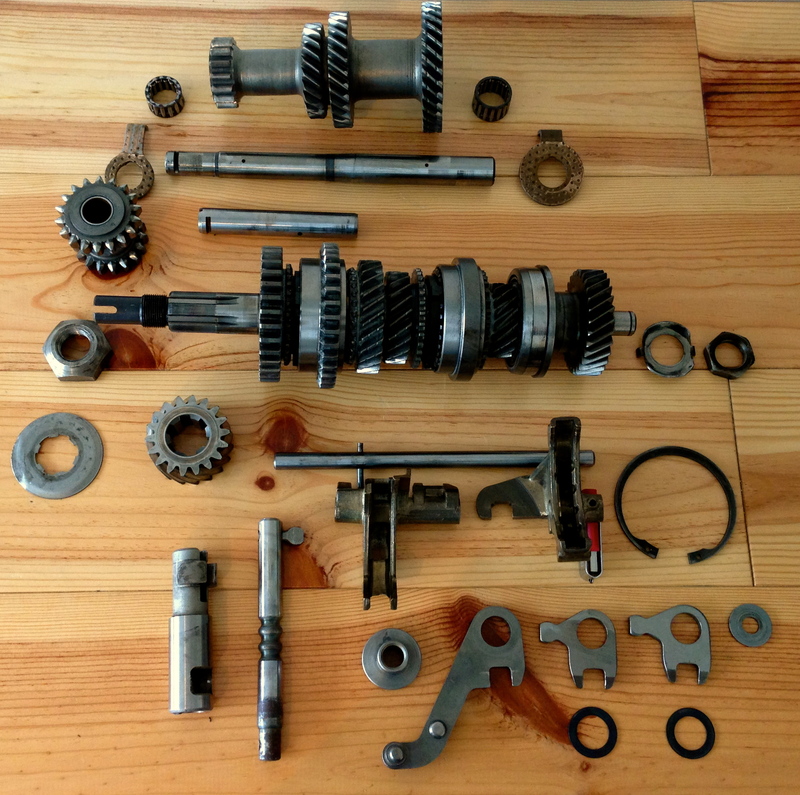 Over the bank holiday weekend i have stripped the gearbox, inspected and cleaned the all of the components that are serviceable and can be reused. The casings has been cleaned through my parts wash a couple of times and has come up reasonable. Id like it blasting to get it looking mint really. 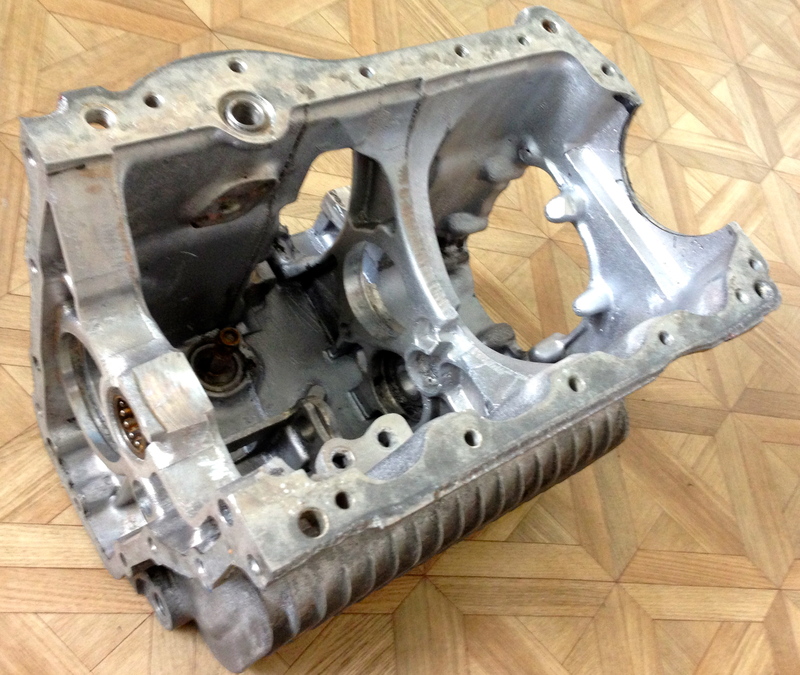 The diff output plates and speed-o gear drive housing have been cleaned acid etched and then painted matt black. Looking at the state of the box internals, it’s not a pretty diagnosis. 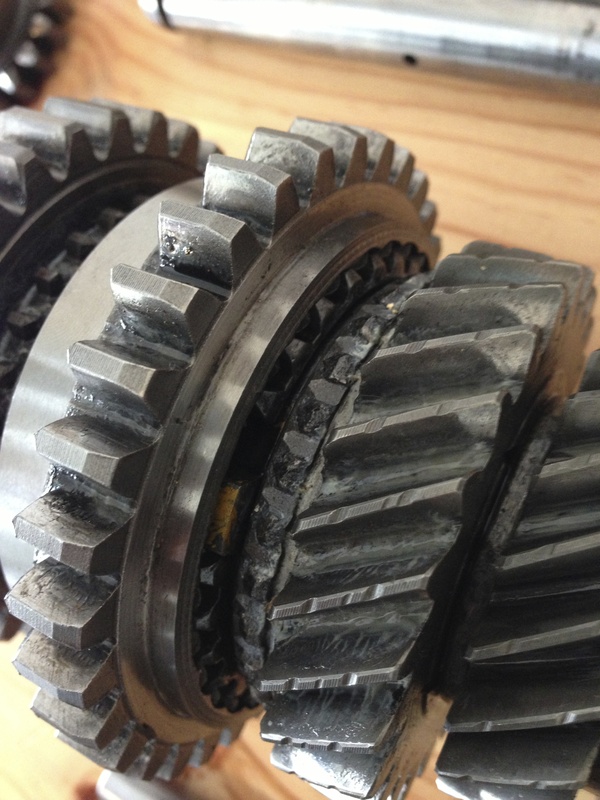 2nd gear is shot, 1st /2nd syncro-hub is worn, the reverse idler bush will need renewing and there is surface damage to the 3.44 pinion gear. Ill be getting on to guessworks to see if he has anything suitable that i can purchase for the rebuild. All of the bearings / bushings will be renewed, a choice of useful mods and a new uprated layshaft will be fitted when completing the rebuild. Im going to see if i can get the head back this week also. Hopefully then some proper engine building can start. 30 days….. Gulp!